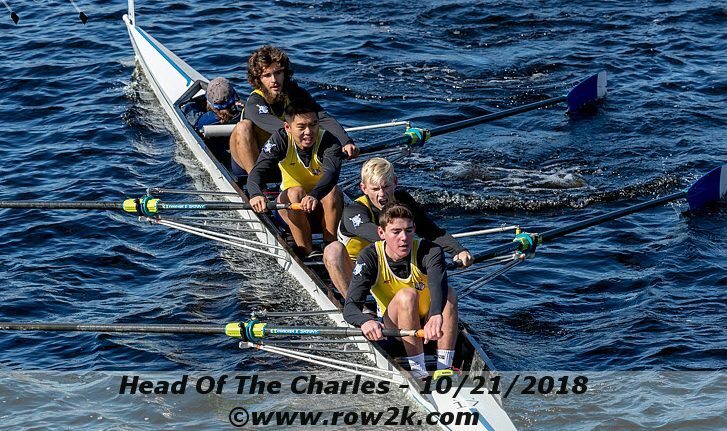 Over the weekend of October 20-21, the Long Beach Junior Crew competed at the 54thHead of the Charles Regatta in Boston, MA. The Head of the Charles is the biggest regatta in the world with around 11,000 athletes competing in 61 events. The picturesque 3-mile race along the Charles River starts in the heart of Boston near Fenway Park and goes past the boathouses of MIT, Boston University, Riverside Boat Club, the Harvard University and Radcliffe, Cambridge Boat Club, The Belmont Hill School, and Northeastern University. 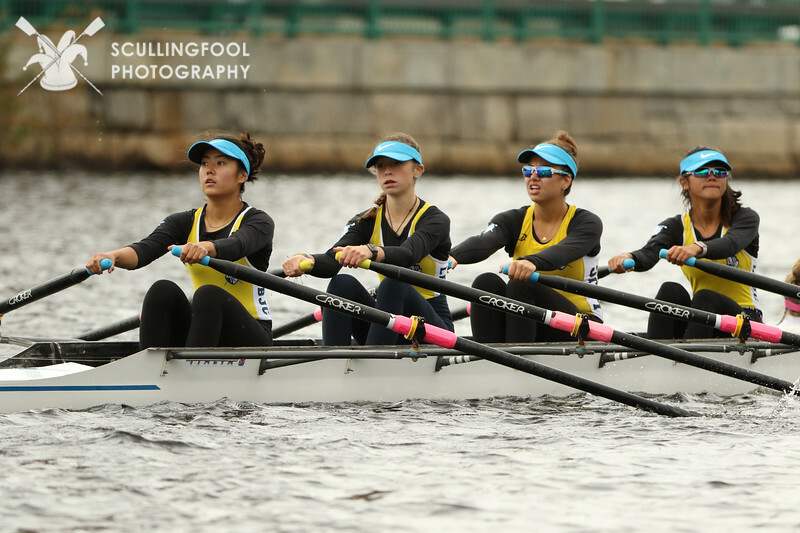 The two-day regatta brings over 200,000 people to the banks of the Charles to watch. Rowing vendors and corporate sponsor tents line course. 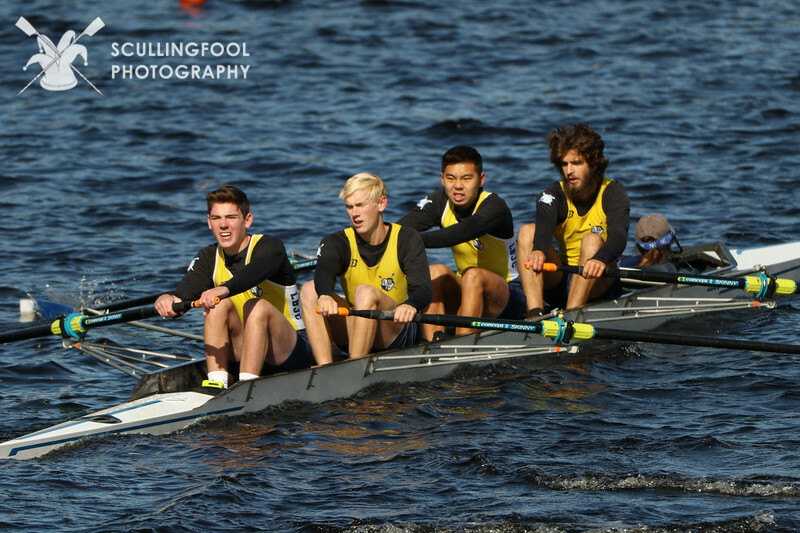 This is a very unique regatta where athletes from high school to college, club, masters, National Teams and Olympians are competing on the same stage. 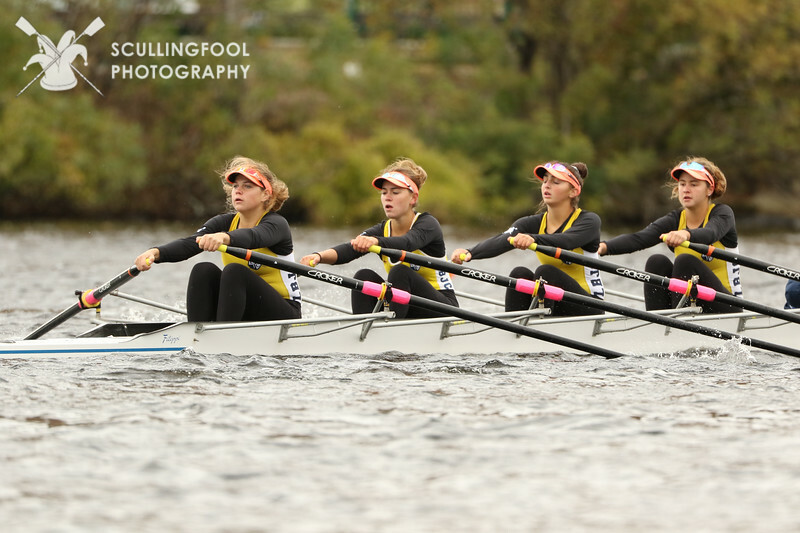 Needless to say, there is never a dull moment when racing down the course at the Head of the Charles Regatta. LBJC had a group of 27 athletes travel to Boston for the Head of the Charles Regatta. Given how competitive the race is and the challenging entries process, the LBJC coaches selected only the top athletes to go on the trip. Getting an entry for Head of the Charles is incredibly competitive. Each event is selected through a lottery system with hundreds of applicants and if you are lucky you may get an entry. LBJC was very fortunate to have a boys 4+ (Four with coxswain), a girls 4+, and two girls 4x+’s (quad with coxswain) entered. October is very early in the season to be selecting boats. The athletes’ selection to the HOCR travel team was a testament to their hard work during summer conditioning. The team arrived in Boston on Thursday evening. We were up at the crack of dawn Friday morning to unload the trailer and rig the boats for practice. We were greeted with cold blustery weather, a real shock to the system! Once the course was open for practice, the LBJC crews were among the first to hit the water for a test row of the course. The course has a lot of turns and bridges, so we were fortunate to have some good quality practice time on Friday. That was the one and only chance to practice on the course because racing started early Saturday morning and goes all day. On Saturday, the athletes had a chance to check out Cambridge and Boston including the many excellent university campuses nearby. Our hotel was right in between Harvard, MIT, and Boston University. It was nice to have a day of relaxing sightseeing before their big race on Sunday. The first boat to go down the course for the LBJC family was two of our coaches, Boys Coach Tom Graves and Girls Coach Peter Graves. 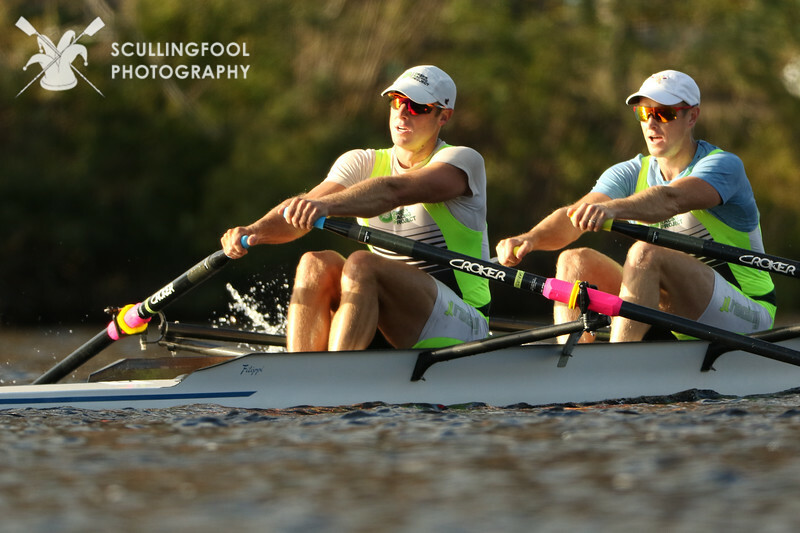 The Graves brothers raced in the Championships 2x on Saturday afternoon. They started in 9thplace and attempted to show the kids how it’s done. They passed four boats and finished in second place in a time of 17:07.4, just 5 seconds off of the winners. Tom and Peter have storied history with the regatta having won the HOCR in college and the Championship 2x event event 4 times in a row from 2008-2011. They were trying to stage a bit of a comeback, and almost got it! You can watch a clip of them during the race here at 3:31:38 here: https://livestream.com/row/hocr-2018/videos/182156944 Saturday was concluded with a big team dinner at our hotel restaurant. This is an annual tradition the night before our races. Everyone had a great time. 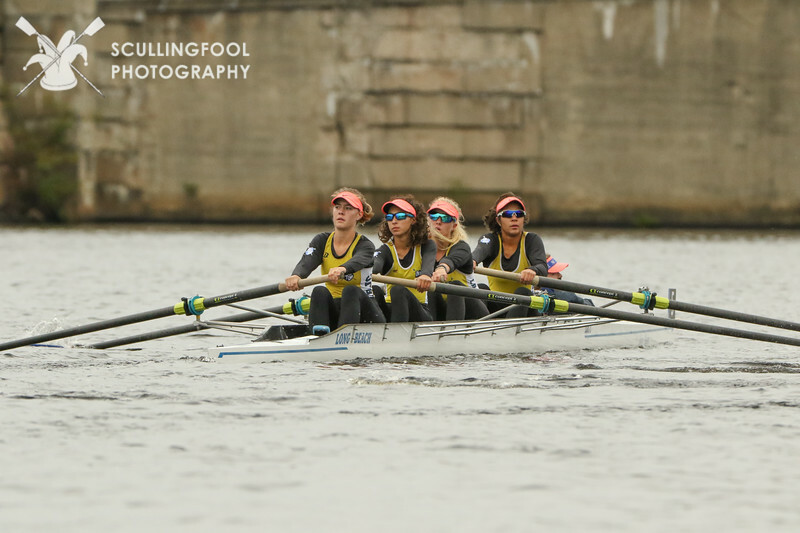 Next up was Girls 4x+ race, which we had two boats in. Our A entry of Molly Gold, Isabel Moreno, Zoe Zarifes, Alex Bensonsteered by Sofia Papini starting at bow number 13. Our B entry of Evon Nakamine, Alex Manchanda, Riley Hobbs, Jackie Ov, and coxswain Layla Bachmannstarted bow number 30. The wind had picked up a bit but luckily the rain had begun to let off. Both of our boats did a wonderful job rowing aggressively and steering a good course. In the video, you can see both boats coming around the turn with good rhythm and bladework. The A entry started 13thand finished 11thin a time of 20:06.1 and then B entry started 30thand finish 26thout of 42 boats in a time of 21:31.9. The A boat earned LBJC a guaranteed entry in the event for next year. Well rowed ladies. Their race can be found at https://livestream.com/row/hocr-2018/videos/182201274. The A entry is at 3:24:50 into the video right behind a crew from Copenhagen and right ahead a boat from Germany! The B entry is at 3:30:55 into the video. All in all it was a wonderful trip to Boston. Two guaranteed entries for next year secured and lots of memories made on the trip. Now back to the LBJC boathouse to train hard for the next regatta!